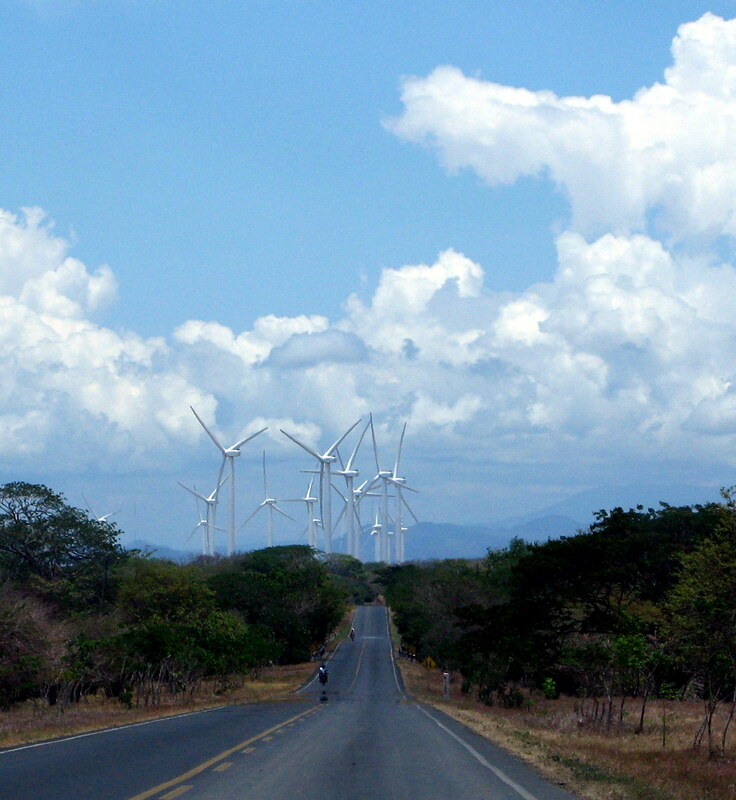 One of Nicaragua’s most valuable resources turns out to be wind. Super strong (often hurricane force) and consistent winds blow across lake Nicaragua. These amazing winds are basically Trade Winds that are funneled and amplified as the high pressure on the east coast (Caribbean) rushes through the gap in the Central American Cordillera to the relatively lower pressure on the west coast. 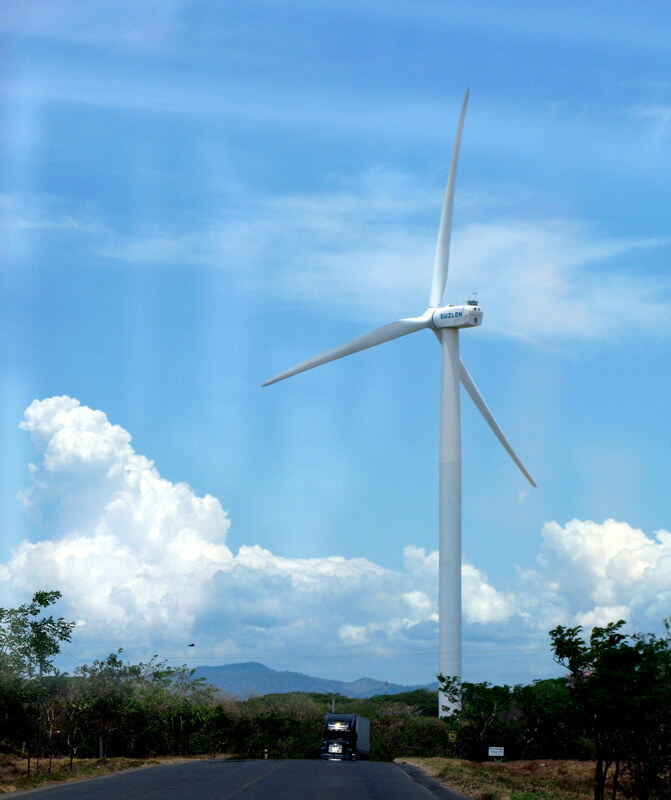 On a recent trip to southern Nicaragua and the Costa Rican border we marveled at recent creation of a wind farm on the western banks of Lake Nicaragua. Dozens of massive windmills each hundreds of feet high, spinning in the regular winds that sweep off the lake. The Amayo Wind power Project consists of 19 windmills each 100 meters (330 feet) tall with a production of 2.1 megawatts, or almost 40 megawatts in total; 8% of Nica’s total current energy production. 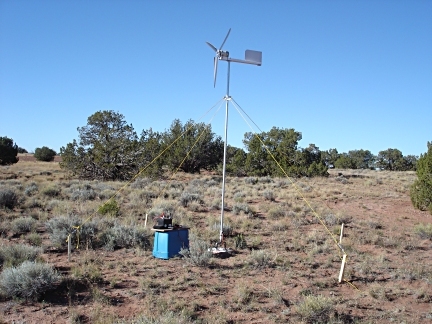 This power will be connected to the national power grid and serve 325,000 homes. This is great news for the environment as Nicaragua currently produces about 60-70% of its power by fossil fuel burning. Hopefully this joint U.S.-Nicaragua project will be a harbinger of more clean energy projects to come. The same winds that spin these gigantic blades continue on to groom the Pacific swells that reach the shores of Nicaragua, creating feathering lips and hollow tubes that draw surfers. We have a hard time relaxing when it’s offshore all day though; the constant surf checks, watching the tree limbs sway, waiting for it to turn onshore, the incessant feeling that we are blowing it, that we should be out there surfing, or FOMO (Fear Of Missing Out). South Nicaragua is known for these constant, all-day offshores that make us surf till we’re fried and exhausted. In the North we don’t get the lake effect and usually get onshore wind late morning or afternoon. This entry was posted in Green Building and Bamboo, Make your own, Nicaragua, Surfing and Surfboards and tagged alternative energy, DIY, diy windmill, green building, holly beck, kim obermeyer, lake effect, make your own, nicaragua, offshore wind, sustainable living, wind power, windmill. Bookmark the permalink.